Supporting Toowoomba and the surrounding area for more than 20 years, we are working together with businesses to create long term stability and growth for the region. 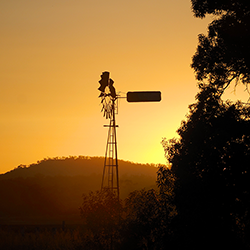 Our Toowoomba branch is located in the business heart of the Darling Downs. Meet your local Gallagher Team. We have specialist capability in transport & logistics, rural & agricultural, general commercial, building & construction, earthmoving, hire & rental and hotels insurance. We are helping many businesses save hundreds of dollars in premiums achieved through our longstanding relationships with some of Australia’s leading insurers and underwriters. We have recently partnered with Australian Custom Harvesters Inc. to provide a tailored solution for their members. Download the information flyer here. Let our expertise help you create an insurance program that is tailored to your needs, adds value and protects all aspects of your business. We are so much more than just an insurance broker – think of us as your trusted advisor and business partner, and someone you can call when the unexpected happens. As a relationship driven business, we believe that no two businesses are the same. Many have unique qualities that may require fresh thinking and a tailored solution. We have earned a reputation for truly understanding our client’s business and finding the best fit solution that covers you for all insurable risks, providing peace of mind for now and in the future.